I missed participating last month so I'm glad to be back on board for this month's What's On Your Nightstand carnival. I always enjoy seeing what other people are in the middle of reading or are hoping to get to in the coming month. As for my own stack, I think I will not be as ambitious in listing all of the things I hope to read. Life has been teaching me that I can't plan everything out and mostly that nothing is predictable. So I'll just mention the four books I hope most to get to in the next month. 1. A Wife After God's Own Heart: 12 Things That Really Matter in Your Marriage , by Elizabeth George. 2. Scarlet (The King Raven, Book 2) (After having read Hood at Lisa's recommendation, I finally got around to buying book 2 to read devour here in the very near future! 1. I still have a copy of The Jew Store sitting on my shelf waiting to be read. I hope to get to this one this month for certain. It's not that I haven't found the book appealing...I just got distracted with other life events and books that were tucked away in suitcases. As always, other things will be thrown into the mix and reads are always subject to change. But we press on in our reading, right!? 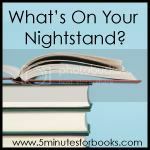 Looking forward to finding out what's on YOUR nightstand! I'm intrigued by the title "A Wife After God's Own Heart." I may need to check that one out myself. I liked a Woman after God's Own Heart, specifically for the marriage advice, so I'm sure that would be great. I've never read anything by Elizabeth George. That title looks like a good place to start. I've read others of Elisabeth George's books -- that would probably be a good one, too. I read "A Wife After God's Own Heart" for a church-led book study--it's good for discussion/dialgue. I just finished Scarlet and liked it even more than Hood. Enjoy! Loved, loved Scarlet even more than Hood! Can't wait to read your review! I have loved everything I've read by Elizabeth George. My nightstand is full of books I intend to get to, but for right now don't suit my fancy. I am eager to find a devour, can't put it down type book.... I'll be checking your blog for some suggestions! 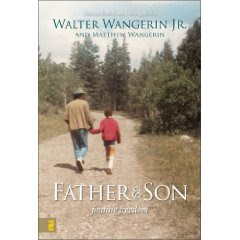 Another list of books that sound gret but aren't familiar to me - that's the fun of this isn't it? !